Peter Thomas, who has a Ph.D. in Physiology from Leicester University, England, has been a Professor in Marine Science since 1990 and in Zoology since 1993. He has served on advisory committees for the U.S. Environmental Protection Agency and the Organization for Economic Cooperation and Development as an expert on the effects of environmental contaminants on reproduction and endocrine systems in fish and wildlife (endocrine disruptors). His research on the mechanisms of endocrine disruption has broad environmental relevance and applies to human health as well as ecosystem health. 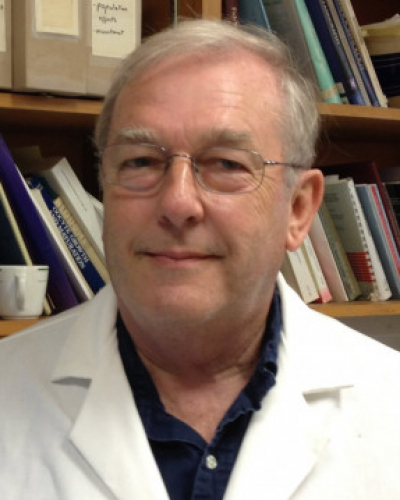 He is also a pioneer on non-traditional mechanisms of steroid hormone action mediated by steroid membrane receptors. Three of Dr. Thomas's most recent publications are "Nontraditional sites of endocrine disruption by chemicals on the hypothalamus-pituitary-gonadal axis: interactions with steroid membrane receptors, monoaminergic pathways and signal transduction systems," "Endocrine Disruptors: Effects on Male and Female Reproductive Systems," 1999; "Characterization of two nuclear androgen receptors in Atlantic croaker: comparison of their biochemical properties and binding specificities," "Endocrinology," 1999; and "Pesticides interfere with the nongenomic action of a progestogen on meiotic maturation by binding to its plasma membrane receptor on fish oocytes," "Endocrinology," 1999.